From the Hulk to the Hulkbuster, Thor's biceps to Captain America's pecs: the Marvel Cinematic Universe has spent a lot of time glorifying big things. This summer, however, one superhero will go in the opposite direction. Ant-Man stars Michael Douglas and Paul Rudd as two generations of a hero with a suit that allows him to shrink down to the size of an insect while maintaining the strength of a full-sized human. He can also communicate with ants to create his own ant army, which is more effective than it sounds. He can really ruin a picnic. Directed by Peyton Reed, Ant-Man hits theaters in less than a month and Disney is promoting it heavily, with a flurry of TV spots that each eke out a tiny amount of new footage. 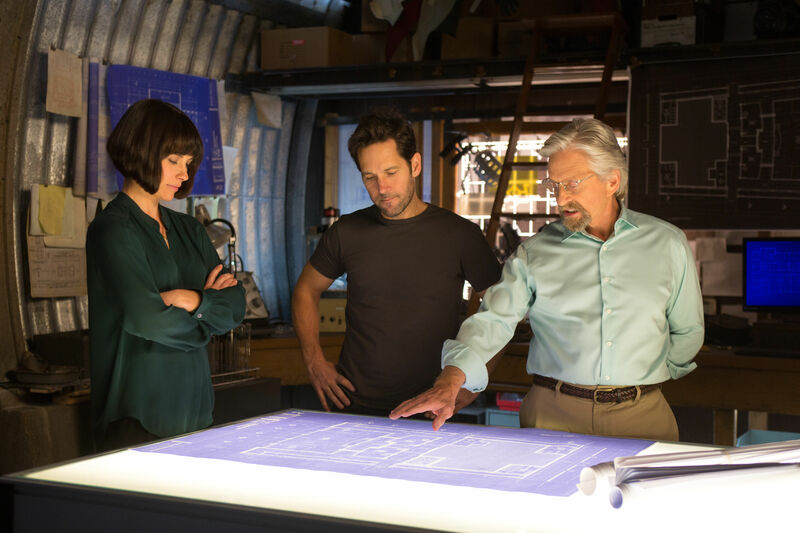 The latest of these TV spots has now arrived, and this time the new clip shows Scott Lang doing a dry run in the suit, under the watchful gaze of Hank Pym and his daughter, Hope Van Dyne (Evangeline Lilly). 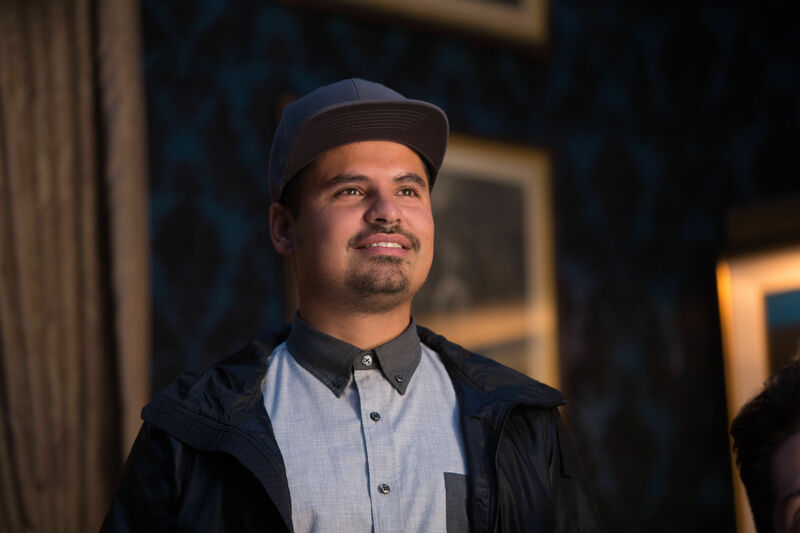 Also featured in this TV spot (in a clip we've seen before) is Scott's friend Luis, played by Michael Peña, who gets a bit of a shock when he sees the Ant-Man suit's shrinking action for the first time. Let's hope Scott doesn't get swatted. 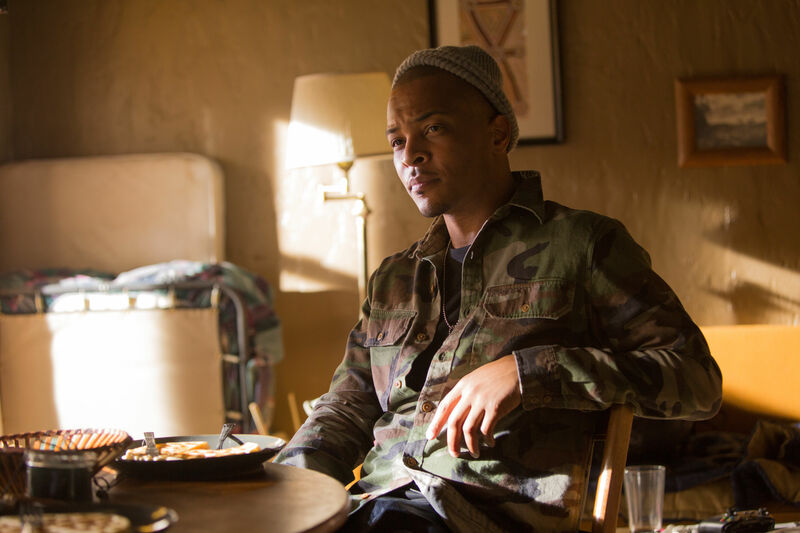 Some new official stills from Ant-Man have also been released and introduce Scott's circle of friends - comprised of Luis, Dave (Tip “T.I.” Harris), and Kurt (David Dastmalchian). All of the characters are ex-cons and it looks like they live together in the same bachelor pad, based on the Xbox One controller resting on the table and the shot of them all sitting around enjoying waffles for breakfast. Check out the stills below. 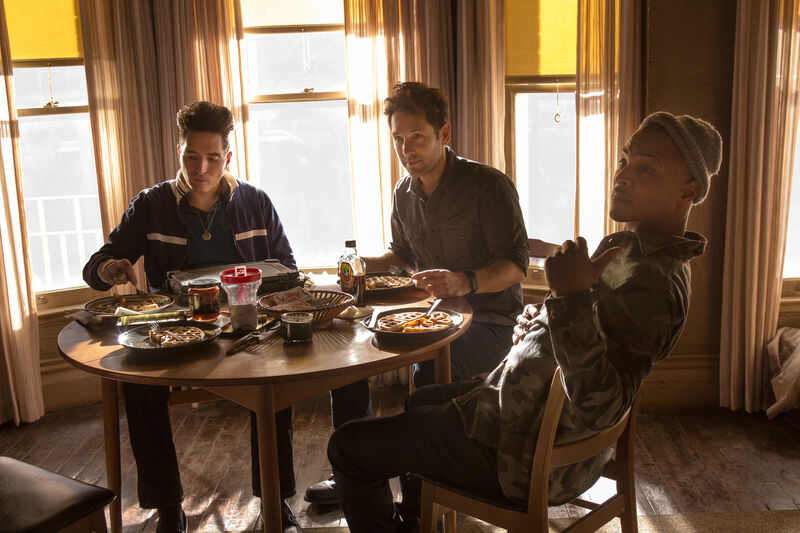 Bobby Cannavale, shown in the final image, said in an interview regarding Ant-Man earlier this year, "Most of our scenes are together, like me and Paul and Judy Greer." Greer is playing Scott's ex-wife Maggie, and Cannavale is playing her new husband, Paxton, who also happens to be a cop who once arrested Scott. 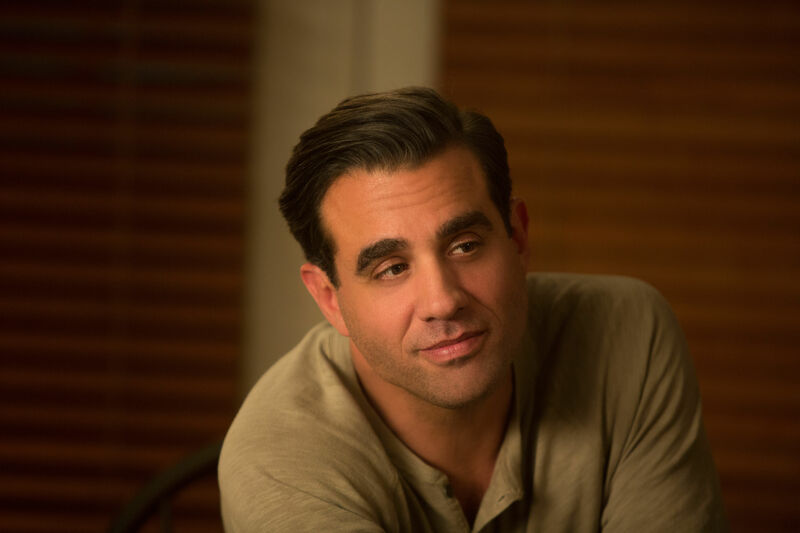 One of the forces driving Scott in the movie is his young daughter, and it seems likely that Cannavale will spur that motivation by being a rival father figure with a considerably more stable life. 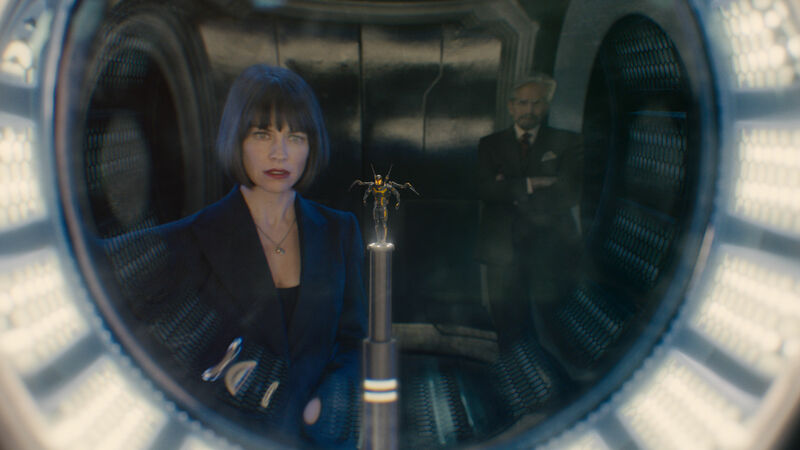 Two of the photos show Hank and his daughter Hope plotting to steal back the Pym Particles technology from Ant-Man's villain, Darren Cross a.k.a. Yellowjacket (Corey Stoll). Cross has plans to put Hank's discovery to work for the military, and in order to put a stop to this plan Hank and Hope ask Scott to take up the Ant-Man mantle and pull off the heist. Based on all the epic shots of Ant-Man battling Yellowjacket that have been shown in the trailers, we're going to guess that the plan doesn't go completely smoothly. Ant-Man breaks into theaters everywhere on July 17, 2015.